This house has it all. 4.5 acres of privacy in a subdivision, which abuts a farmers field. Stamped concrete driveway and patio, 30' pool with composite deck and 12x12 gazebo/pool house/changing room. 30x38 outbuilding with private driveway, concrete floor, office, full power and water. Fenced backyard, newer roof, A/C, Kenetico water system, granite countertops, stainless appliances. Huge great room with fireplace. Tons of space upstairs, plus a private master suite. 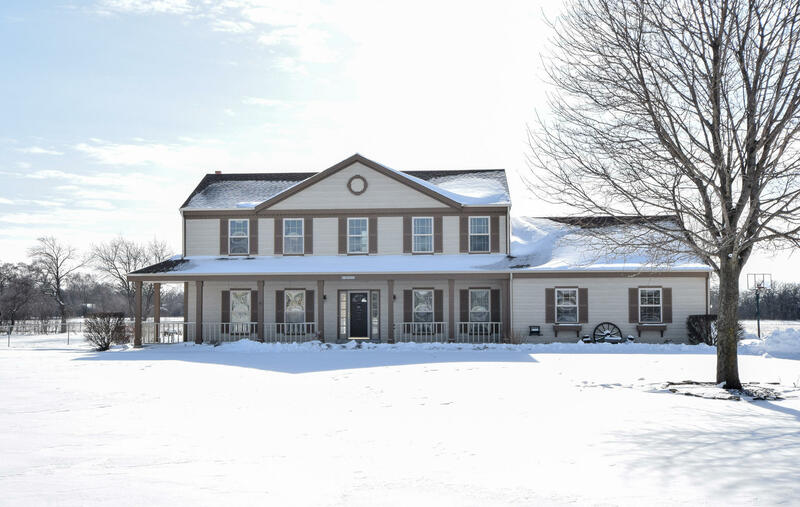 If you have been looking for a family home with privacy and storage/outbuilding this is it!